St. Patrick's Day is the perfect time of the year to celebrate good times & friends over a few personalized mugs of cold, frosty beer. 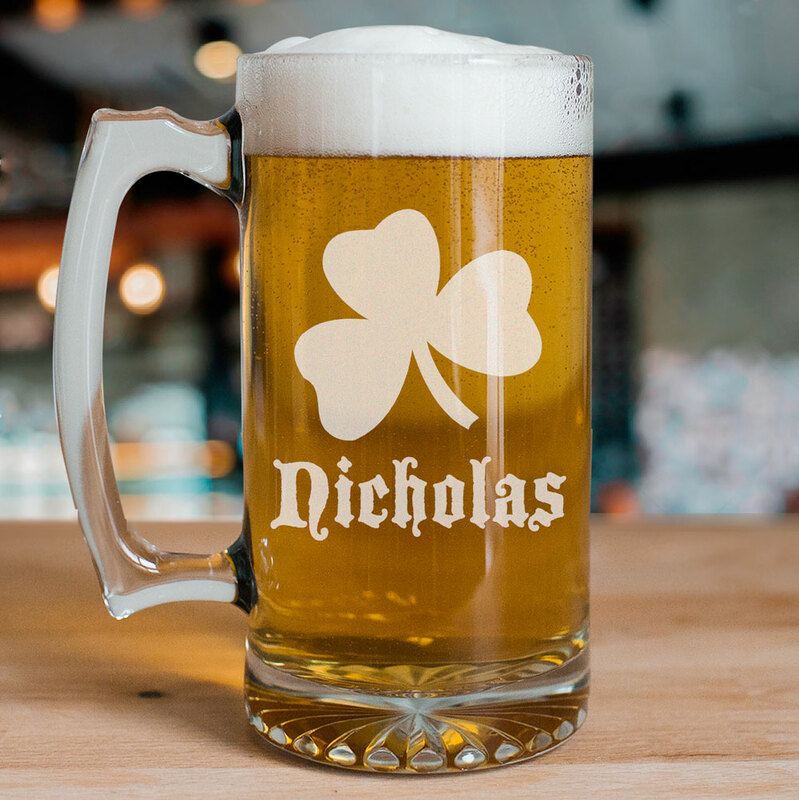 Our Personalized Shamrock Mug is perfect for bachelor parties, groomsmen gifts, St. Patrick's Day or even golf outings. Personalize your Irish Glass Mug with any name. We love this mug. It made for a great gift. Thank you! Excellent well made product that invoked a tremendous response from an Irish friend. Additional Details Our hearty personalized beer steins aren't the only thing we have for your home bar - check out our other personalized bar accessories, all created with you in mind. Shop today.